E-mail written 2000 to Lew Griffin from Linzi Joann A'Fortieri (aka Leah Ann Dean). Find A Grave Memorial# 72586792. Find A Grave Memorial# 62397018. Find A Grave Memorial# 108759388. Find A Grave Memorial# 108759335. Mentioned in obituary of father, Rev. John William Dean. Based on SSDI Zip Code of 30059, resided somewhere in the Atlanta, GA, area. Jay O. Dean didn't have a middle name..just the letter O.
E-mail written Feb 2009 to Lew Griffin from Diana Linnet, e-mail address. Find A Grave Memorial# 43389855. Find A Grave Memorial# 82828594. Year: 1940; Census Place: Jefferson, Alabama; Roll: T627_46; Page: 11B; Enumeration District: 37-32. Find A Grave Memorial# 122735698. Obituary* 31 Aug 2009� CRAWFORD, Mary Lucile Kennedy, age 93, died August 29, 2009. Mrs. Crawford was born June 14, 1916 in Birmingham, where she grew up as the youngest child in a family of 7 children. She lived a very active life for many, many years in Autaugaville where she made her home and where she was a member of the Autaugaville United Methodist Church. She was preceded in death by her parents, Sam and Iva Kennedy; her beloved husband, Jefferson Calhoun Crawford,Sr; a stepson, Jefferson Calhoun Crawford, Jr; and a stepdaughter, Hope Crawford Wadsworth. She was also predeceased by her sisters, Methel Sizemore and Annie Sorrell and her brothers, Reese Kennedy, Ralph Kennedy, Earl Kennedy and Roy Kennedy. 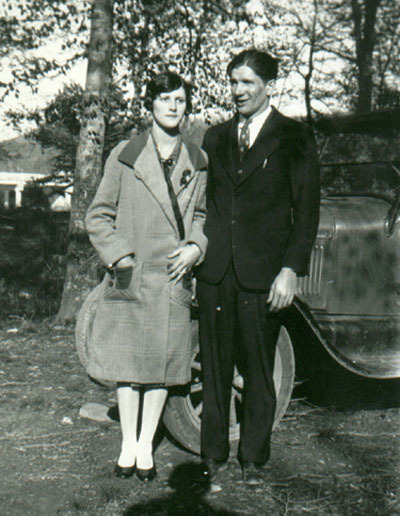 She is survived by two stepdaughters, Jean Crawford Mills (and husband James), of Dallas TX and Doris Crawford Hodgson (and husband Robert), of Bay Minette. She is also survived by numerous nieces, nephews, great nieces and nephews,step grandchildren and step great grandchildren. She maintained a very close relationship throughout the years with a special nephew, Robert Sorrell of Largo, FL. Find A Grave Memorial# 134881992. Find A Grave Memorial# 134882426. Published in the Montgomery Advertiser on Aug. 31, 2009.